UPDATED March 25th: Galloway Principal Resigns, Click HERE for Full Story. The absence of a Galloway Township Public School Principal has caused great concern within the parental community of Galloway Township. Over the past week, Galloway Township News has been contacted by several parents inquiring as to the reason a Principal in the district was out on paid leave. 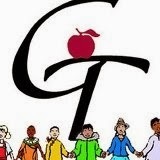 According to Dr. Annette C. Giaquinto, Superintendent of Galloway Township Public Schools, "John Gibson, Principal of Arthur Rann Elementary and Pomona Preschool, is currently out on leave." Giaquinto made that statement in a letter sent home to all parents with children in those schools on February 20, 2014. Giaquinto stated, "because this leave is of a confidential nature, I am not able to provide you with any information at this time. I will update you as soon as possible." That statement has raised great concern in the community as parents continue to send their children to school with the unknown of what the issues are with Principal John Gibson. "Please be assured that through the leadership of experienced Assistant Principal, Mr. Kevin McGloin, and with the support of central office administrators, the schools are being well-supervised and managed. Of course, the faculty and staff are working in a supportive manner with Mr. McGloin and each other. The focus remains on the education and safety of the students" Giaquinto said. Gibson who earns an annual salary of $129,145.92 plus $4,000 in additional stipends, has been out on 'Paid' leave described as "Other" leave since January 30, 2014. 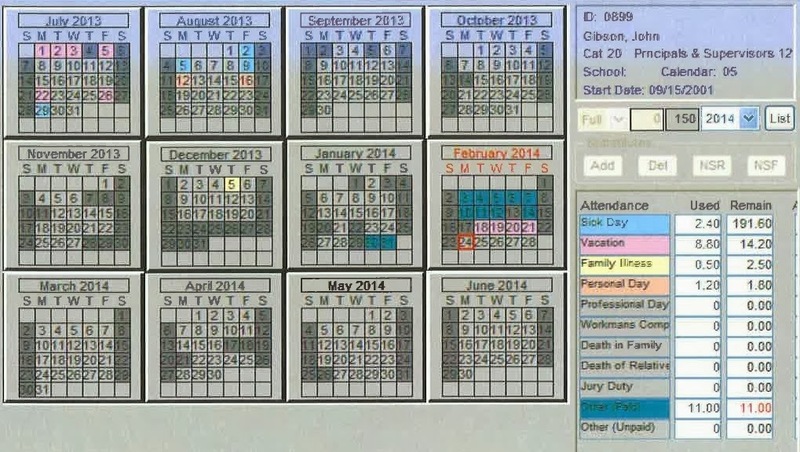 From January 30th to February 14th, Gibson received this 'other' paid leave without using any of his accrued time. Gibson has started to use his vacation time which began on February 18th and is still currently listed as being out on leave. The letter to the parents by Giaquinto alerting the parents of Gibson's confidential absence didn't go out until February 20, 2014. Parent's have raised concern on why the letter took so long to go out. Giaquinto confirmed to Galloway Township News that Gibson's absence is that of a 'personnel matter' and further confirmed as of February 27, 2014, no incident reports have been filed. Giaquinto responded to additional questions posed regarding allegations against Principal Gibson by stating, "We will review your requests with our attorney and will reply in accordance with board policy and the law." The notification of Principal Gibson's absence comes on the heels of the public outcry against the suspension and possible termination of Mullica Township Kindergarten teacher Kelly Mascio. Read more here online. Galloway Township News is following up on additional leads and accusations regarding Principal Gibson and will alert the public as soon as confirmed information is received. Thank you Lisa for reporting. The community needs to know this is going on. I am also a parent with children not only in Arthur Rann but also in Absegami. My daughter was given the letter and told nothing about the principal. When I asked the school why the letter was sent home I was told it's just procedure to notify the parents that something is going on but we can't talk about it. I demanded answers and instead I got snowballed. I would like to know why our principal was being paid as if the school told him to take time off. There is something going on and to leave us parents in the dark while I send my child to a school that won't tell us what happened is shameful to the Public Schools in Galloway. With the rumors that are out there about what is going on with Mr. Gibson, I sure hope the school comes out pretty fast with an explanation. I would not keep my hopes high for an explanation. This has been going on for over a month and still all we hear are crickets. Heck,it took 3 weeks just to get any word at all from these idiots. We have a better shot having Ms. Tilton getting to the bottom of it then we do of receiving any more information from this administration. .
To everyone who has provided additional information regarding this situation rest assured I am researching and investigating everything provided. You can continue to provide the information here by posting an anonymous comment to my attention or you can email your information to gallowaytwpnews@gmail.com. Why do people think that simply because this person is a public employee they lose all confidentiality. If this were an ACMC official or any other private sector employee you wouldn't even know they existed and they would certainly get privacy. If this person did something harmful or illegal he will be prosecuted. The truth is because public sector employees are under such constant scrutiny they appear to be constantly screwing up. Private sector employees are not subjected to such voyeurism and thus appear more competent. When the truth is public sector employees tend to be better trained and better supervisors and managers than their private sector counterparts. JP, If he worked at ACMC or Wawa and was sick, cheated on his taxes or ran red lights for fun, I would not care at all. The fact is, this guy works with children. More specifically, MY children. This man is the head of an institution that my children spend a third of their day attending. A place that I hope and pray is a safe place. A place with people that I trust will nurture and teach my children. I believe I have a right to know what is going on with any and all public employees when it comes to my children. Well what are the said rumors? Unless it directly affected or is affecting the safety and well being of the children. It should remain personal if it is personal. Rumors usually have some truth to them, so with that said if they are bad rumors that could have harmed a child, then yes be concerned if not, then truly it is none of your business what is going on. Unless of course they want to tell you. If it is something harmful it will show it's ugly face. He is not there to be a harm to anyone's child, so unless he did harm someone ..wait for answers. Thanks mom but I do not give a damn if you think I should wait. They are bad rumors, I am concerned and I hope Ms Tilton can get to the bottom of what is obviously an ugly situation. How about....mind your own business? If it was something illegal...he'd have been arrested and/or charged. If it was something improper to do with a child...he'd have also been fired. So nosy....just mind your business. You obviously do not have kids in Galloway schools like I do or you would be concerned like the rest of us. Maybe you should mind your own business. Thanks for staying on top of this and finding out what happened. Kids or no kids. Nosy lol. We have every right to know what is going on. We fund his paycheck. He works for all taxpayers. The private sector does not owe us squat they are not a public employee! He alone does not pay enough taxes to cover his own paycheck so if he doesn't like that were asking questions do us taxpayers a favor and QUIT and go work in the private sector! Like it or lump it. That is the way it is. Our business!